Beautiful blouse in fine spring tones from KAFFE. 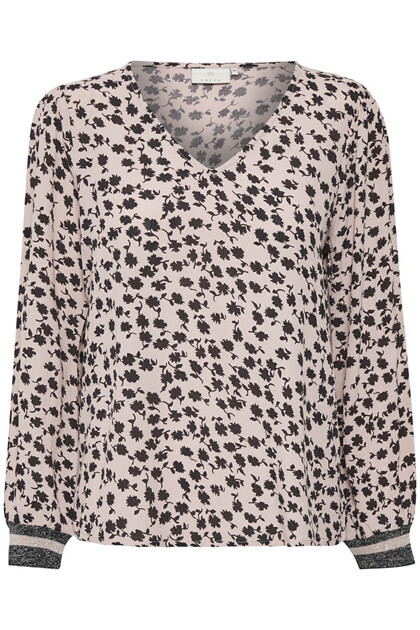 The blouse has this beautiful print, long sleeves and a soft v-neckline. 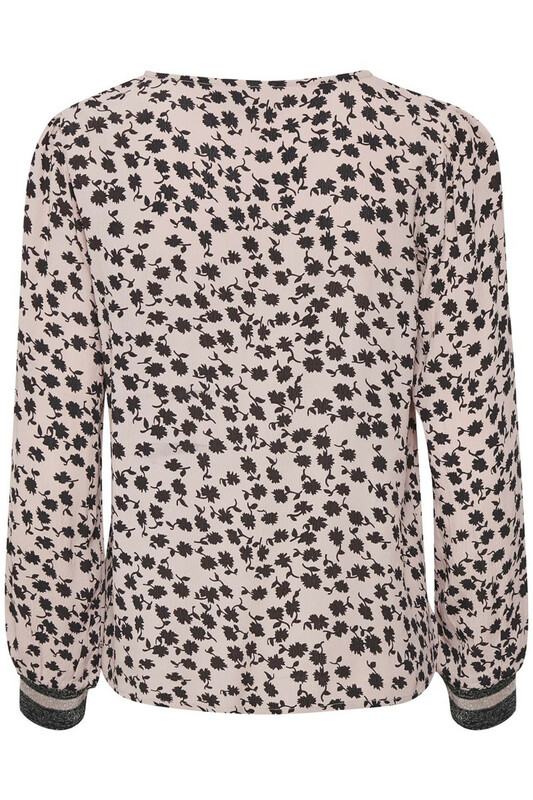 The sleeves have ribbed edges with glitter effect, which provides the elegant blouse with a really nice cute touch. The blouse has a viscose quality and fits perfectly with both jeans, pants and skirts. It can certainly be used for both parties and everyday use.